Technology has completely revolutionised the user experience inside recreation facilities. No longer is it about one action and listening to music or staring at a TV screen. Casey ARC has joined this revolution and is the first facility in Australia to implement Virtual Reality bikes. These bikes provide a completely immersive experience which allows you to have a 360 degree feel while remaining in a safe position. What are Virtual Reality (VR) Bikes? They are just like normal exercise bikes except you wear some headgear that allow you cycle pretty much anywhere you like. You could, for example, do a virtual Tour de France! 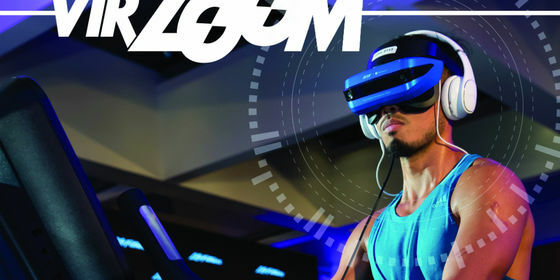 The VR Bikes also come with a large selection of interactive gameplay options, which adds a completely new dynamic and fun aspect to training. These games allow you to satisfy your imagination by giving you the ability to be things such as a tank shooting other enemies, a flying unicorn, a cowboy lassoing other cowboys off horses and even dogs racing formula one cars. Of course you can also just ride the cycle pretty much anywhere you like! The great thing about this experience is the incidental exercise that occurs once you are fully immersed in gameplay and competition. You will naturally find yourself riding harder to beat the other racers and finish as number one. This instinct to finish the games successfully will have you burning calories and getting you fit without even knowing it. Interested in learning more or even giving it a go? Call us on 9705 5000 and book a session. We are virtually positive you will love it!